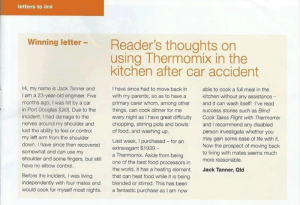 I found this article a very interesting read – then I asked ThermoFun Members for those with a disability did they find the Thermomix a life saver? 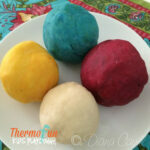 Narelle B: I’ve had my Thermomix for only a few months. I also have a son who is almost 18 and has Down syndrome. Whilst his gross motor skills are similar to any person of his age, the thought of him wielding a knife, and using an open flame, or even electric hotplate, makes me panic. My son LOVES learning to use the Thermomix, and I can see it being of massive assistance in increasing his independence. I think a Thermomix should be part of every persons Disability Care package! 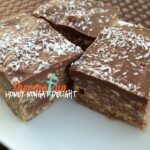 Jacinta J: This is why I bought a Thermomix too! I have a neck and shoulder injury and chopping and stirring are intensely painful if I have to do them for any length of time. Love my Thermomix and having some of my independence back. Emily J: I have bought one and I am waiting for it to arrive mainly as I am a carer for my 5yr old child who has multiple disabilities. She needs a specific diet and has sensory aversion to food, and also has trouble swallowing and can’t drink orally. I hope to create her thickened dishes she can’t usually normally eat, cut down on preparing time and safety when trying to prepare meals and long term savings for my family. Carly S: We have a 5 ½ year old with Cerebral Palsy and bought a thermi so we could blend real food fine enough to go through a gastrostomy tube. Since buying it though we have a much broader repertoire of food and if he’s having trouble eating a particular texture I can always blend it up a bit finer for him. Natasha C: My shoulder, arm, hand injury was what prompted us to first consider the Thermomix. I find it incredibly painful to chop and stir but love cooking and baking. 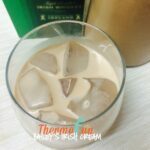 The Thermomix quite literally gave me back my independence in the kitchen and allowed me to continue with at least one passion in my life despite the loss of so many more. Zena O: This is me right now :-((( however limited sensation fingers, hands, knees and ankles. Amanda B: Yep! Paraplegic with chronic neck & shoulder pain. Makes cooking much easier I LOVE my TM! Lynda S: I have MS. 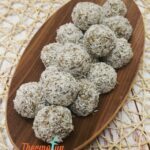 I have changed my diet dramatically and most nights cook a separate meal to the rest of family it has been so great having a Thermomix it has made this easier. I also get extremely tired at times so it helps with getting meals done quicker. .. the only problem is I want to spend my whole day cooking! Nicola D: My oldest child is 11 and has aspergers. He now wants to learn how to cook but I don’t feel confident about him standing next to a cooker. 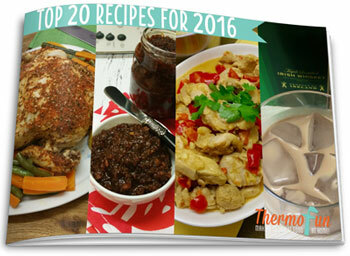 Thermomix to the rescue once again. Liz G: I don’t have issues with cutting and food prep, but I have the attention (and interest) span of a gnat when cooking. The number of times I’ve burnt the rice, pasta, etc and boiled the water dry is amazing. The timer on my thermie is a lifesaver and saves all that waste. And as I bonus, I’m more interested in cooking and eating properly now. I think it’s brilliant how the thermie can help others gain their independence. Kylie B: A relative who has arthritis bought it so she could still do all her baking without having to knead by hand (amongst all the other functions that involve heavy use of your hands). Great to read about how it is helping other people! 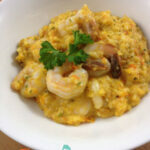 Michelle B: I have Cerebral Palsy & my Thermomix has made cooking and most preparation so much easier. My hubby loves it too. We’ve had ours almost three years and we are still discovering new things it can do constantly. I still wish I didn’t have to cook though! Anne-marie M: I have a customer who is blind and she loves it. She went from packet pasta, jarred sauces and takeaway with a result of average health to CADA for breakfast, a penchant for throwing a salad together esp beetroot and dabbling in flourless chocolate cakes and gluten free breads and biscuits. She also has diabetes so control over what is in her diet is key. On top of that, she now has dinner parties which she hadn’t for ten years prior. The Thermomix is safe, reliable and consistent for her and removes risks of conventional cooking like open pots on hot stoves. I never tire of her telling me how it has changed her life and her health is now excellent. Thank you to everyone who has shared. 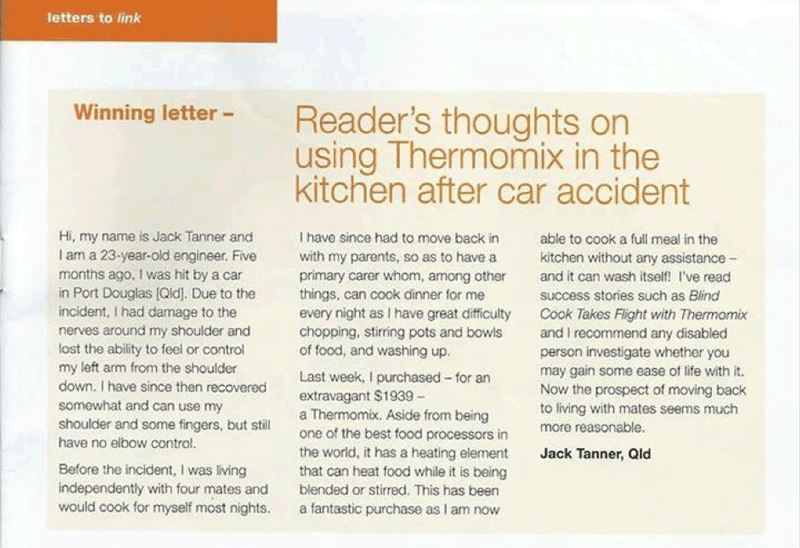 If you have a disability and have a thermomix please feel free to share your experience with us. 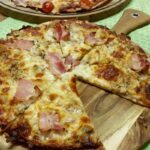 Click Here for many great recipes in a number of e-cookbooks – containing recipes to suit everyone. 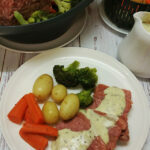 My lovely thermomix consultant is one of my beat friends.. When Janine first started, my daughter had a demo..
Not now tho …I now have some independence back in the kitchen! we actually eat healthier than before as everything that goes in is fresh and no preservatives.. I make things I’ve never made before ..it’s like painting with numbers .. 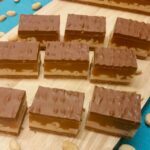 There are thousands of no fail recipes online and in the recipe book you get with the thermomix too and everything turns out perfect! If you have a disability and can lift out the jug ..get some independence back in the kitchen ..you’ll be so glad u did..I am! My husband and I are both legally blind. We are both confident cooks but, in my case anyway, it sometimes takes me a long time to prepare food. 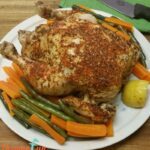 I loved the idea of the Thermomix because it allowed me to prepare all-in-one meals quickly and safely. 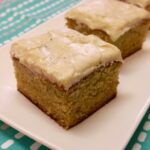 I find the Varoma is a very safe way to steam food, and I am constantly finding myself trying recipes I’d never thought of attempting before. We are much more aware of what we eat now, and it’s great to be able to make so many useful things from scratch, such as stock. We’ve had ours for 18 months and we have never looked back. Thank you all for sharing your inspirational stories.